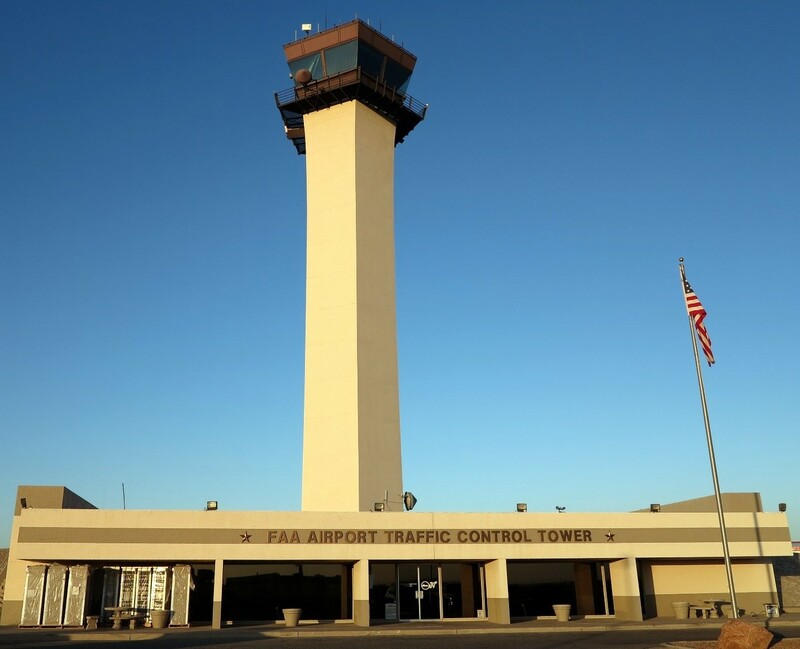 There are several ‘firsts’ associated with El Paso International Airport and the FAA Airport Traffic Control Tower (ATCT) facility which serves it. In the early 1960s the FAA commissioned famed architect I.M. Pei to design a new type of control tower. The FAA originally intended to install Pei towers at 50 airports around the country, although this number would eventually drop to 16. The Pei towers were taller and more advanced than any control tower used at the time. The first Pei tower, which was also the first U.S. control tower over 130 feet in height, was commissioned at El Paso International in 1968. The Pei tower design pioneered at El Paso eventually went into service at some of the busiest airports in the country, including Chicago O’Hare, Lambert-St. Louis International, Houston Intercontinental, and Tampa International. In 1998, the FAA selected El Paso Airport Traffic Control Tower’s Terminal Radar Approach Control (TRACON) as the test site for the most ambitious terminal radar automation upgrade in over thirty years. 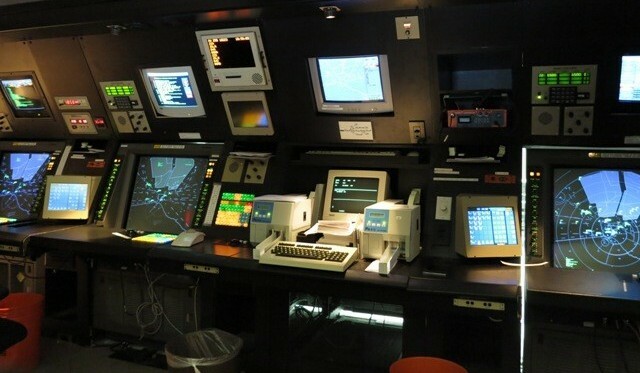 The Standard Terminal Automation Replacement System (STARS) replaced the antiquated ARTS IIIA (Automated Radar Terminal System), which was designed back in the mid-1960s. El Paso went operational with the earliest test version of STARS on December 10, 1999, and successfully implemented STARS ‘Full Service Version 1’ on April 30, 2002. Since then, STARS has become the standard system throughout the FAA, and is an integral part of the TAMR (Terminal Automation Modernization Replacement) system currently being installed across the nation. 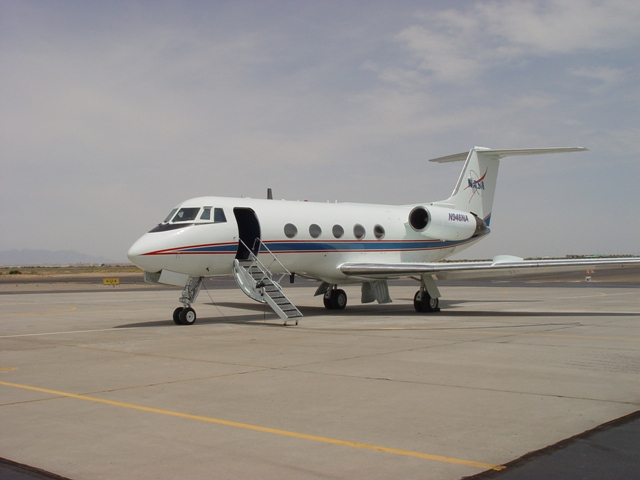 Throughout NASA’s Space Shuttle program, shuttle pilots departed El Paso International Airport in specially modified Gulfstream II aircraft called the STA (Shuttle Training Aircraft). These STAs would fly to the military ranges to the north climbing to 18,000 feet, and then practice a 20° descent approach at 300-knots/345 mph/556 kph to a runway. Compare that to a normal jet approach of 3° at 150 knots. A less auspicious “first” occurred in El Paso on August 3, 1961. 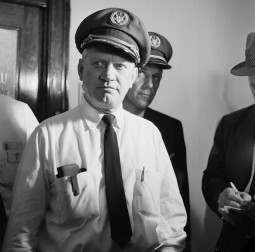 Leon Bearden and his son, Cody, were the first people in the U.S. to hijack a jetliner. 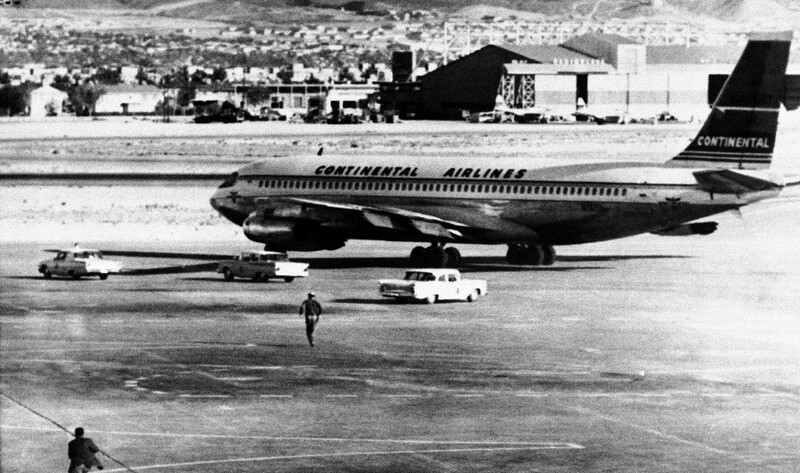 The two were aboard Continental Flight 54, a Boeing 707 flying to Houston from Los Angeles with scheduled stops along the way in El Paso and San Antonio. Over New Mexico the elder Bearden pulled out one of the two guns he and Cody had smuggled aboard. He then took a flight attendant hostage, forced his way into the cockpit, and demanded that the pilots fly them to Cuba. Captain Byron Rickards (who also just happens to hold the Guinness World Records distinction of being the first pilot ever hijacked in an incident that occurred thirty years prior in Peru) convinced Bearden that the plane would have to land at El Paso to take on enough fuel for the flight. Four passengers volunteered to remain aboard the 707 as hostages, and the Beardens allowed the remaining passengers to disembark. After nine hours of stalling, the elder Bearden demanded the pilot take off immediately. 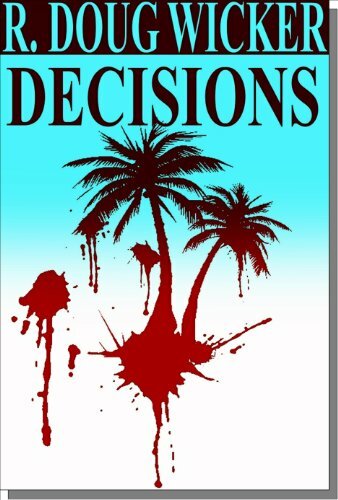 As the plane turned for the runway the FBI opened fire, flattening the tires and disabling one of the engines. One of remaining hostages, off-duty Border Patrol agent Leonard Gilman, who was also a former boxer, took advantage of the distraction to strike Leon Bearden. Bearden went down, stunned. The FBI stormed the plane, taking both father and son into custody. And Leonard Gilman walked away a hero with a broken hand from the blow he delivered to Leon Bearden’s face. El Paso’s first civilian airfield, El Paso Municipal Airport, was built in 1928 near the eastern base of the Franklin Mountains in the area that today is just northeast of Railroad Drive at Liberty Expressway. Indeed, a road at this location still retains the name Planeport Loop. Operational from 1928 until 1945, El Paso Municipal Airport was managed beginning in 1934 by the newly established Varney Speed Lines, the predecessor of what would eventually become Continental Airlines. On an interesting historical note, in 1926 Walter Varney also started Varney Air Service, which became United Airlines. The fun trivia fact here is that in 2010 Continental and United merged to become United Continental Holdings, thus bringing together under one corporate roof two companies that had the same founder. As for the origin of what is today El Paso International Airport, that began the following year when Standard Air Lines constructed Standard Airport in 1929. 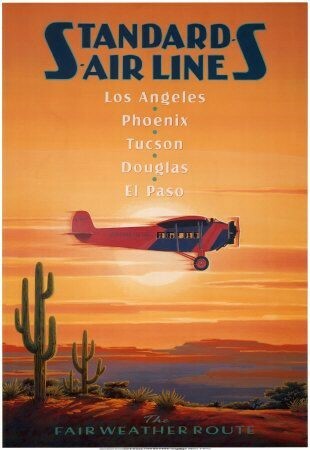 Standard Airport thus became the eastern-most destination of Standard Air Lines’ service connecting El Paso, Douglas (Arizona), Tucson, Phoenix and Los Angeles. Standard Air Lines was later sold to Western Air Express, which in turn would eventually merge with Transcontinental Air Transport (T-A-T). Transcontinental Air Transport became Transcontinental & Western Air (T&WA), which eventually rebranded itself as Trans World Airlines (TWA). In between all this, in 1934, Western Air Express separated from T-A-T, and in 1941 Western Air Express became Western Airlines. So, rather impressively, El Paso aviation played a fundamental role in the establishment of three major airlines — Continental, Western, and TWA. All three have long since merged with other airlines — Western with Delta (1987), TWA with American (2001), and, as previously noted, Continental with United (2010). In 1936 the city of El Paso relinquished control of El Paso Municipal and gained control of Standard Airport in an exchange of properties requested by the operator of Standard Airport at the time. During World War II the U.S. Army Air Corps took over the former Standard Airport, renaming it El Paso Army Airfield. Thus, both Biggs and El Paso became training fields for heavy bomber crews destined for the conflicts in Europe and the Pacific. In 1945 El Paso Army Airfield was declared excess, and control of the airport reverted to the city of El Paso. Today, El Paso International Airport controls 7,000 acres/2,833 hectares (10.9 square miles/28.2 square kilometers) of land, much of which is leased to nearby businesses. The airport itself has three runways. 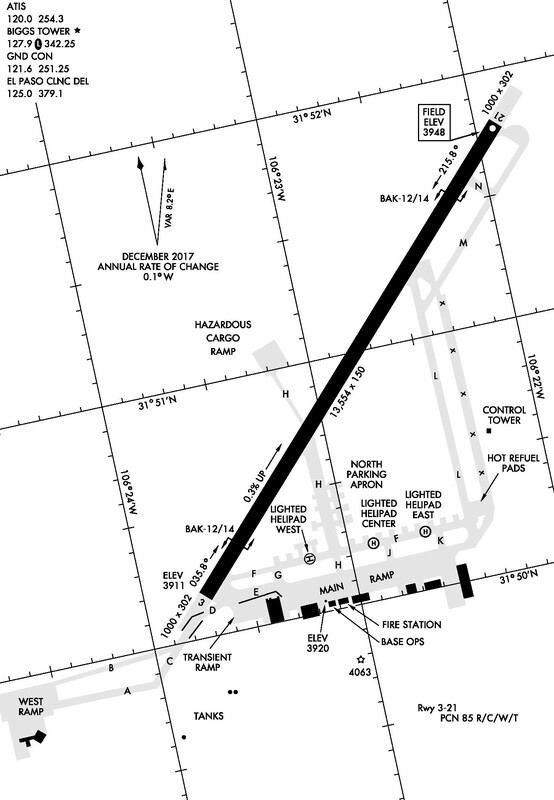 Runway 04/22 is 12,020 x 150 feet (3,664 x 46 meters) with an Instrument Landing System (ILS) serving Runway 22, and a Localizer Approach to Runway 04. 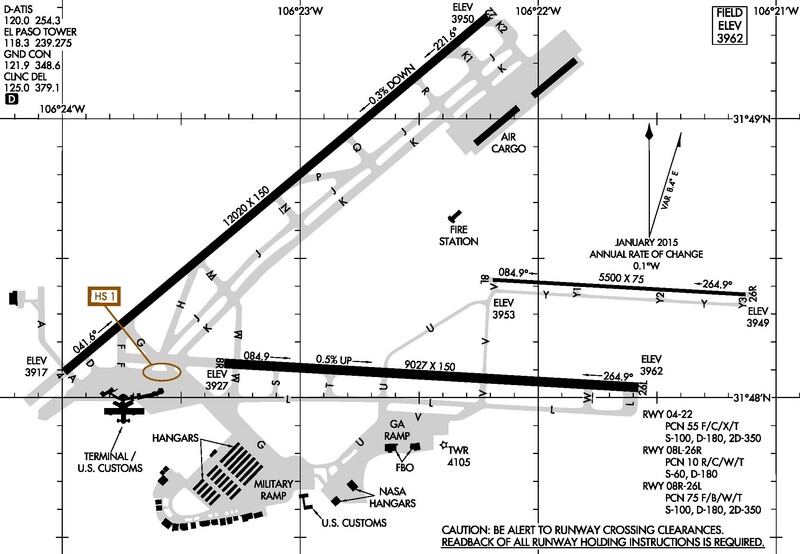 RNAV approaches also serve both ends of the runway. Runway 8 Right/26 Left is 9,027 x 150 feet (2,751 x 46 meters). Approaches to Runway 26 Left include a VOR approach and two RNAV approaches. Runway 8 Left/26 Right is 5,500 x 75 feet (1,676 x 23 meters), and serves as a reliever runway for smaller aircraft. Runway 26 Right has one RNAV instrument approach. El Paso Terminal Radar Approach Control (TRACON) airspace reaches from the surface to 17,000 feet above sea level, and stretches from the U.S.-Mexico border to the south to the military ranges north. The airspace to the west ranges out to 25 nautical miles/29 statute miles/46 kilometers, and extends to 35 nautical miles/40 statute miles/65 kilometers east. Within that airspace are four satellite airports served by El Paso TRACON. In addition to the aforementioned Biggs Army Airfield, these airports are Fabens Airport to the southeast, Cielo Dorado Estates Airport (a residential fly-in community) to the west, and Doña Ana County International Jetport Airport also to the west. El Paso TRACON also deals with a major international airport with a control tower and a non-radar approach control facility just south of the international border — the Ciudad Juarez Abraham Gonzalez International Airport. In 1919 the first permanent aviation presence arrived at Fort Bliss Aviation Field. 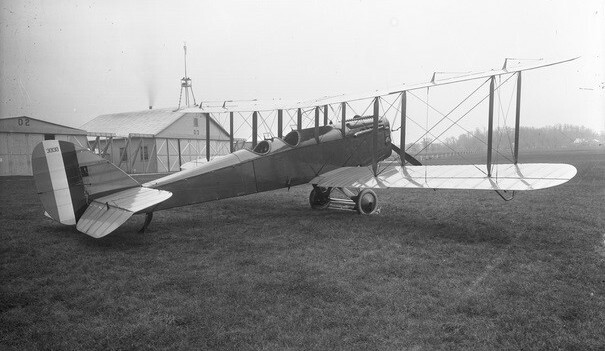 The U.S. Army deployed to Fort Bliss the 104th Aero Squadron, which operated the Geoffrey de Havilland-designed Dayton-Wright DH-4. 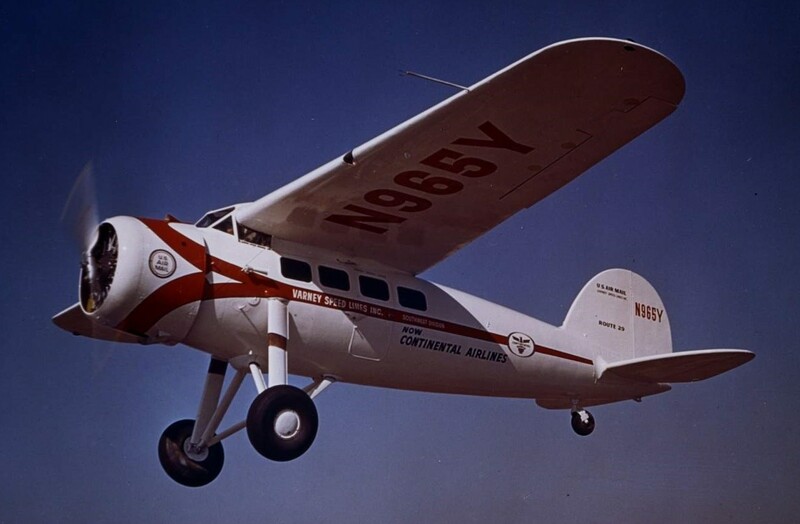 These aircraft patrolled the border between the United States and Mexico, becoming the first aerial Border Patrol operation. 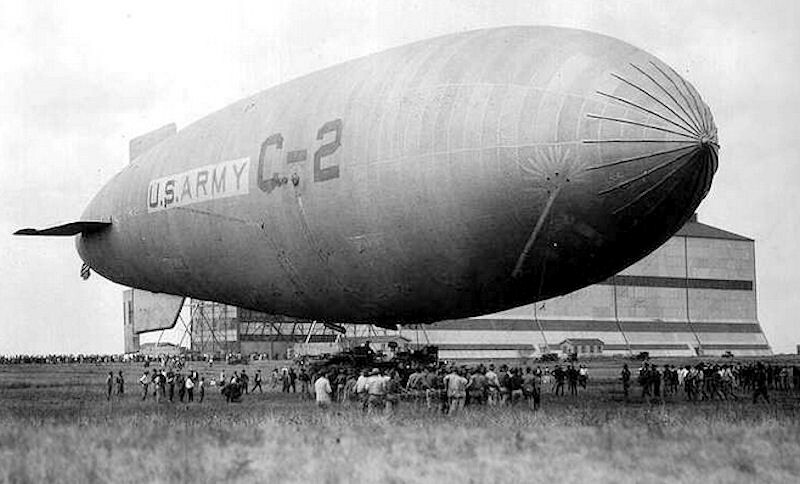 Meanwhile, in December of that same year, the Army relocated airship operations from Brooks Field, San Antonio, to a location two miles northeast of Bliss Aviation Field, on National Guard Camp Owen Bierne. On January 5, 1925, Bliss Aviation Field was renamed Biggs Field in honor of El Paso native Lt. James B. Biggs, who lost his life flying a pursuit aircraft in France during World War I, and on July 1, 1926, Biggs Field relocated to Camp Owen Beirne, which to this day is the present location of Biggs Army Airfield. During World War II Biggs Field would take on a new, expanded role. 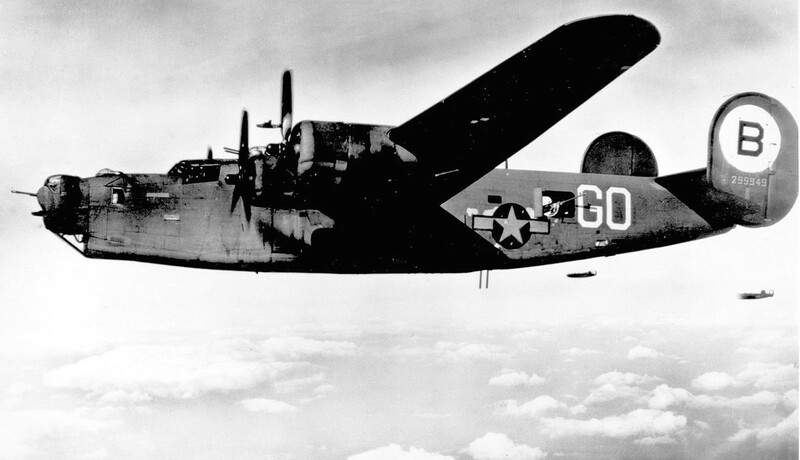 Bombers arrived, and aircrews began training for the conflict by learning to operate the Boeing B-17 Flying Fortress, Consolidated B-24 Liberator, and later in the war the Boeing B-29 Superfortress. In 1947, command of Biggs Field transferred to the newly formed United States Air Force, which operated Biggs Air Force Base as a heavy bomber base under control of the Strategic Air Command (SAC). During its days as a SAC base, Biggs Air Force Base hosted the Boeing B-50 Superfortress (post-war advancement of the WWII era B-29 Superfortress), the massive 10-engine (six propellers, four jet engines) Convair B-36 Peacemaker, Boeing B-47 Stratojet, Boeing KC-97 Stratofreighter, Boeing B-52 Stratofortress, and the Boeing KC-135 Stratotanker. Biggs Air Force Base closed in 1966, at which time control of the field reverted to the U.S. Army. However, Biggs Field would remain closed for seven years, resuming operations as Biggs Army Airfield in 1973. Today Biggs Army Airfield has one runway. Runway 21/03 is one of the longest in the Western United States, measuring 13,554 x 150 feet (4, 131 x 46 meters).